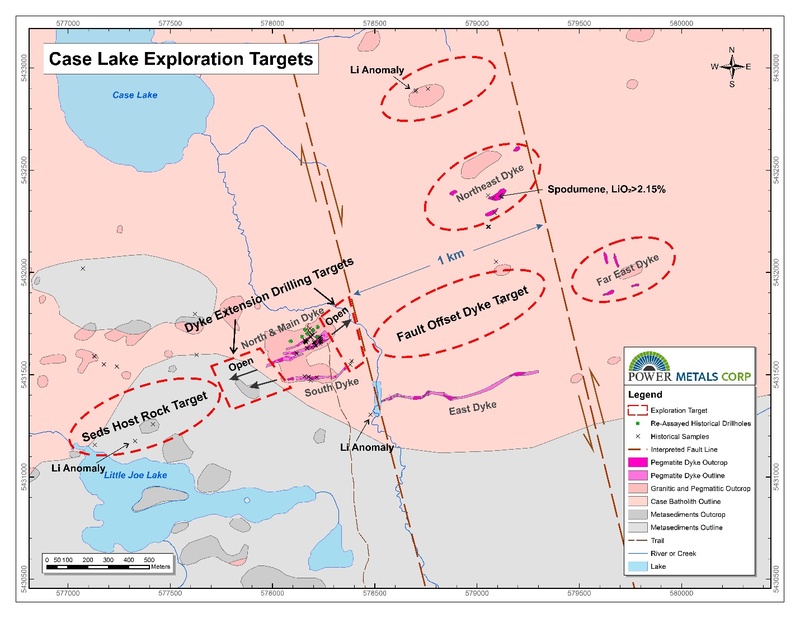 VANCOUVER, BRITISH COLUMBIA--(Marketwired - June 7, 2017) - Power Metals Corp. ("Power Metals Corp." or the "Company") (TSX VENTURE:PWM)(FRANKFURT:OAA1) is pleased to announce that it has increased the size of its previously announced drill program at Case Lake (see press release dated April 24th, 2017). A recent site visit and encouraging data assessment has immediately prompted the Company to expand its program from its previously stated 5,000 meters to greater than 7,500 meters. Power Metals Corp is one of Canada's newest premier mining companies with a mandate to explore, develop and acquire high quality mining projects for minerals contributing to power. We are committed to building an arsenal of projects in both lithium and other clean power fuels. We see an unprecedented opportunity to supply the staggering growth of the lithium battery industry.